Amazon India has got into big trouble due to the way they are operating their storage and logistics of products sold on their site. Karnataka Government has issued notices to over 100 third-party merchants who sell on Amazon platform and have stopped them from selling electronics and several other products from its warehouse in the state by cancelling the licenses reports LiveMint. The notices issued to these third party sellers are some of the top sellers with Amazon Seller Services Pvt. Ltd, the official company name behind Amazon India. The notice states that these sellers have to stop storing their products in Amazon storehouses in Bangalore. The problem revolves around the way Amazon handles its logistics. For all the products that have “Fulfilled by Amazon” tag are essentially shipped by Amazon themselves. For this to happen, third party sellers have to store products at Amazon warehouses even before a customer has placed the order with Amazon. Three-fourths of the orders placed on Amazon are fulfilled by Amazon. Currently, after the products are sold, Amazon gets paid from customers and then pays it to third party merchant after they have deducted their cut. The merchants then pay Value Added Tax (VAT) or sales tax to the government post that. Now, according to state tax authorities, the ownership of products that come under “Fulfilled by Amazon” is passed to Amazon after the merchants delivers it to Amazon warehouses. So, Tax authorities for “practical purposes” want Amazon to pay the VAT rather than the third party merchants. On the other hand, Amazon has disagreed with authorities and said that they never own any of the products and should not be asked to pay taxes on those goods. 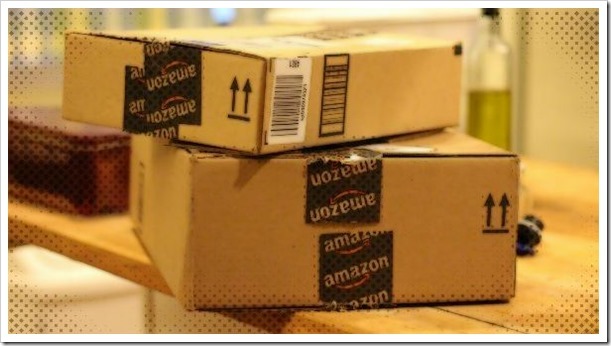 Amazon has also told authorities that they are just providing storage and delivery services to third party sellers and hence should not be liable to pay any kind of tax. Because eCommerce is a new age business, the (very old) Tax laws do not have any separate rules or regulations for the way online businesses are conducted. This is creating problems as the Tax rules of traditional brick-and-mortar store cannot be strictly applied to online businesses. It is interesting to note that Karnataka Government has not yet raised any such objection for either Flipkart, Snapdeal or others who more or less operate in the same way. In our view, Government needs to really re-look at tax laws and update them with changing times. Such issues are going to only create roadblocks for businesses like Amazon and others to flourish who have promised to invest over USD 2 Billion in India in coming years. "Amazon India Tax Issue Trouble: The Complete Story", 5 out of 5 based on 1 ratings. India Remains Undisputed Global Leader In Offshoring Services. Even Increasing The Lead Further! Really the Karnataka government has to relook at all tax laws before they even raise objections. It is really unfair to apply old tax policies to current businesses. We are making it more difficult for investment coming into the country for no reason. Also whatever the law has to be applied uniformly to all companies. I am sure there is an authority that can really look into this and revise laws. Hope this issue starts off that process.